Is the African mining and natural resources sector becoming uninvestable? Warren Beech , Global Head, Mining Subsector, Hogan Lovells, Johannesburg & Jessica Black Livingston, Deputy, Mining Subsector, Hogan Lovells, Denver. Secondly, the recent mining policy and regulatory changes in Tanzania and South Africa have brought into sharp focus the fragility of investment decisions relating to so-called "frontier markets", such as Tanzania, and emerging markets, such as South Africa. Tanzanian President John Magufuli signed into law the Natural Wealth and Resources Bill 2017, and the Natural Wealth and Resources Contracts Bill, 2017, on 3 July 2017. These laws, which were fast-tracked though the Tanzanian Parliament, in a matter of weeks, have far-reaching consequences for foreign companies with investments in Tanzania. Tanzania is one of Africa's largest gold producers (depending on the figures used, Tanzania is either the third or fourth largest gold producer in Africa). There has been extensive investment in Tanzania's gold mining industry, with a large percentage of the investment, focused on prospecting operations, which are of course critical in the creation of a pipeline that can be converted into mines, in the future. Many of these investors are listed in Australia, and the Australian Stock Exchange took the drastic step of suspending trading of various junior mining companies, following the announcement of the enactment of the laws, by President Magufuli. 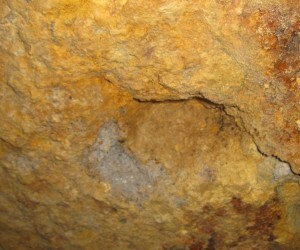 The uncertainties flowing from the new laws are likely to impact on these junior mining companies, who are focused on exploration, quite dramatically and it will make capital raising exercises, extremely difficult, if not impossible – where ownership of mining assets in a company are put at risk, this is likely to scare off would-be investors, and make existing investors exercise extreme caution. The right to international arbitration is removed. On 15 June 2017 the South African Minister of Minerals, Mosebenzi Zwane published the "Reviewed Broad-Based Black Economic Empowerment Charter for the South African Mining and Minerals Industry, 2016", ("Mining Charter 3"). The response was immediate, dramatic, and far reaching. It is estimated that mining stocks lost approximately R50 billion in value, following the announcement, with the rand losing ground, and the Chamber of Mines, the body that represents the majority of the mining companies, launching legal proceedings against Minister Zwane. The grounds of challenge go to the heart of the Minister's powers and functions under the mining legislation and the Constitutionality of Mining Charter 3. While Minister Zwane has labelled the legal challenge as being anti-transformation, the Chamber of Mines and other bodies representing mining interests have consistently expressed the position that the industry is committed to transformation, that the industry has demonstrated its commitment, through the implementation of appropriate programmes of transformation including in respect of the host communities through the social and labour plans which are a requirement under the Mining Laws, but that the targets in the Mining Charter must be achievable, sustainable, and the timeframe should take into account the reality that the mining industry finds itself in, with the spector of significant, further job losses in the near future (while figures vary, the suggestion is that in excess of 80 000 direct jobs have been lost, in the industry, over the last three to five years. Various South African mining companies have recently announced proposals for further job losses, which may exceed 20 000 direct jobs). There were glimmers of hope when, following negotiations between the Chamber of Mines and Minister Zwane, Minister Zwane agreed to suspend Mining Charter 3 pending the outcome of the legal challenge initiated by the Chamber of Mines. However, the following week, Minister Zwane published his intention to issue a notice placing a moratorium on all applications for new prospecting and mining rights, renewals of prospecting and mining rights, and Ministerial Consents in terms of Section 11 of the Mineral and Petroleum Resources Development Act, No. 28 of 2002 ("MPRDA") (in summary where a right or an interest in a right is to be transferred or there is a change of control, Ministerial Consent is required). 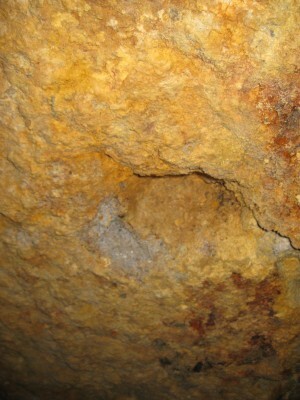 The Minister indicated his intention to issue the moratorium notice under Section 49 of the MPRDA which vests the Minister with the authority to issue a notice prohibiting prospecting or mining in respect of certain geographical areas or certain minerals for a particular period, having regard to the national interest, the strategic nature of the mineral in question and the need to promote the sustainable development of the nation's mineral resources. The widely expressed view was that the Minister had exceeded his powers under Section 49 of the MPRDA by intending to issue a blanket notice. Litigation was again initiated, and as at the date that this newsletter is being sent out, there is uncertainty regarding the status of the moratorium notice. It is likely that demand for certain precious metals will continue to grow, and that the demand for the so-called "battery metals" will grow exponentially. All of this creates opportunities for investors, provided that the investors have a proper understanding of the various risks that are faced in these investment opportunities.